In the cloud world, customers purchase software along with some value added services. In order to provide this, it’s best that Systems Integrators resell Microsoft software along with their own IP. Netwoven has officially become direct provider of Microsoft Cloud Solutions Provider program. Services differentiation and developing vertical solutions have become necessity for a partner firm’s future. This might mean acquiring expertise around certain technologies or creating vertical specific solutions. As a result partners can sell high value managed services and move beyond deployment to help customers orchestrate their IT processes. 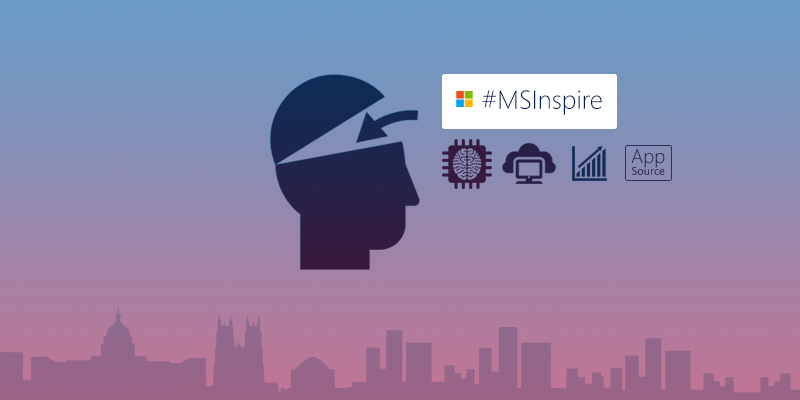 Microsoft introduced AppSource at the #MSInspire event to create a new one stop destination to help business users find, try and use line-of-business Software as a Service (SaaS) apps from Microsoft and its partners. Users can also discover content packs and add-ins for Microsoft business apps like Dynamics CRM, Power BI and Office and Azure. Netwoven is working to provide some solutions in the AppSource. Microsoft is betting big on data and Artificial intelligence as part of their core business philosophy and making it a focus area along with modern workplace and business applications in its journey to $4.5 trillion digital transformation market. Microsoft’s AI tool is being integrated directly into a wide variety of products and features, from image recognition for insurance chat bots to better grammar detection in MS Word. Netwoven has a vibrant Insights and Analytics practice that has worked with many Fortune 1000 customers to create Speech based solutions, and Text Analytics solutions.